Catchment Simulation Solutions provides engineering consulting services in the water field with a special focus on hydrologic and hydraulic modelling. 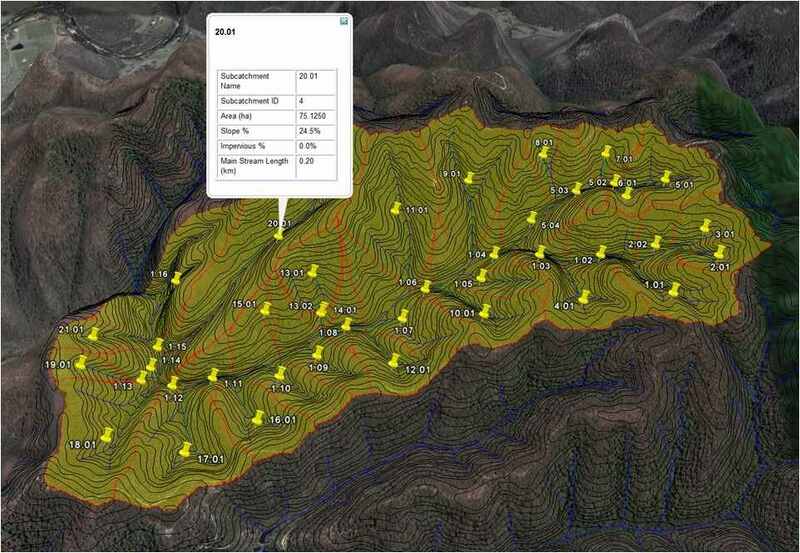 We also develop and market several software product in this field, including our flagship product CatchmentSIM for mapping subcatchments and creating hydrologic models. We also develop Storm Injector for automating design storm rainfall runoff modelling. 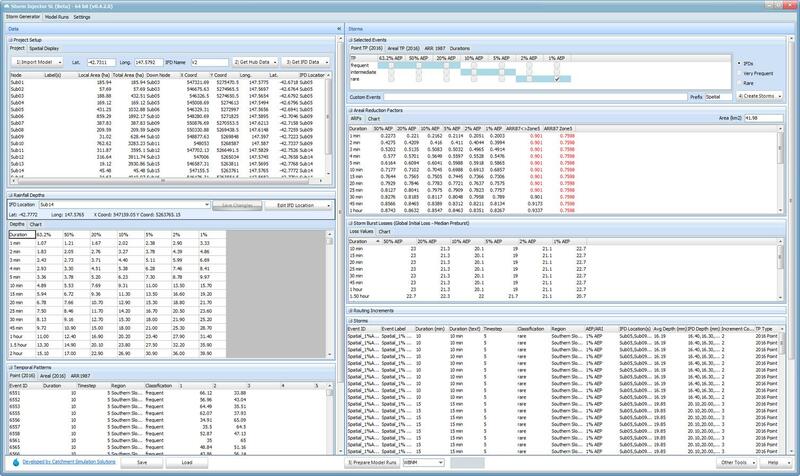 Finally, we develop TRIM, a complete simulation manager for TUFLOW. Some of our sample projects are shown below. 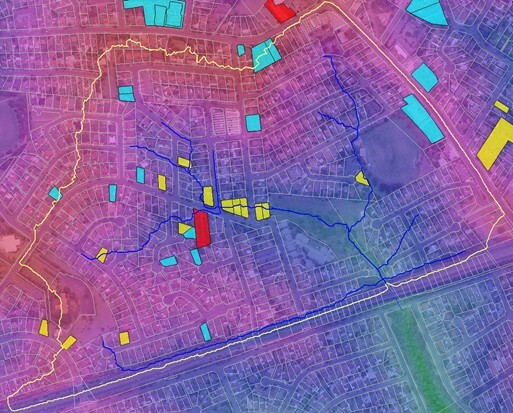 CSS was engaged by Campbelltown City Council to prepare a detailed flood study for the Campbelltown Locality. The purpose of the flood study was to define flood behaviour for existing and future conditions. In accordance with the requirements of the NSW Government's Floodplain Development Manual (2005), both mainstream and overland flooding needed to be considered as part of the study. 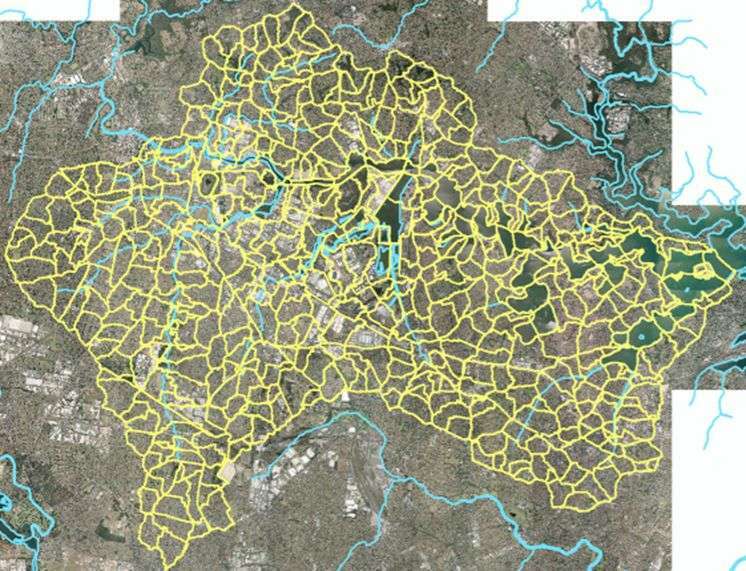 CSS were engaged by the Sydney Metropolitan CMA to complete subcatchment delineation for the Lower Parramatta River, Lane Cove River and Middle Harbour catchments, which occupy approximately 350 km2 of the Sydney urban area. The project was completed as part of the Sydney Harbour Water Quality Improvement Plan. 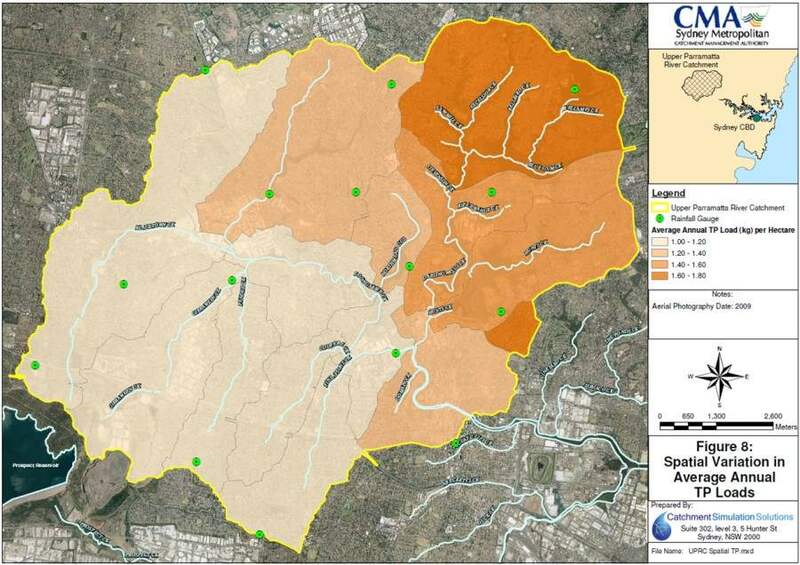 CSS was engaged by the Sydney Metropolitan CMA to prepare Catchment Pollutant Export Models (CPEM) for the Upper and Lower Parramatta River catchments. The CPEM were developed for the Sydney Harbour Water Quality Improvement Plan using the Source Catchments software. CSS were engaged by The Hills Shire Council to map all urban overland flow path alignments in The Hills Shire Council LGA. The purpose of the study was to help identify all allotments that may be traversed by an urban overland flow path and which may be subject to a flood-related development controls (i.e., flood control lots). 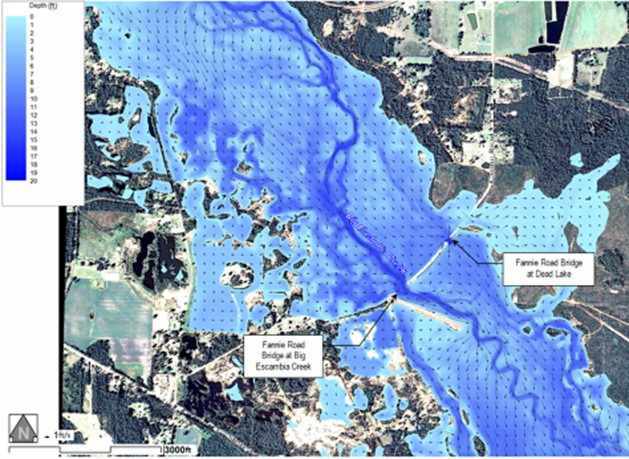 CSS were engaged as subconsultants by The Balmoral Group USA, to complete the hydrologic and hydraulic analysis for the proposed upgrade of the Fannie Road Bridge crossing of Big Escambia Creek in Escambia County, Florida. Storm Injector provides a powerful interface for implementing Australian Rainfall & Runoff 2016 design storms using a range of Australian hydrologic models including RORB, WBNM and XP-RAFTS. 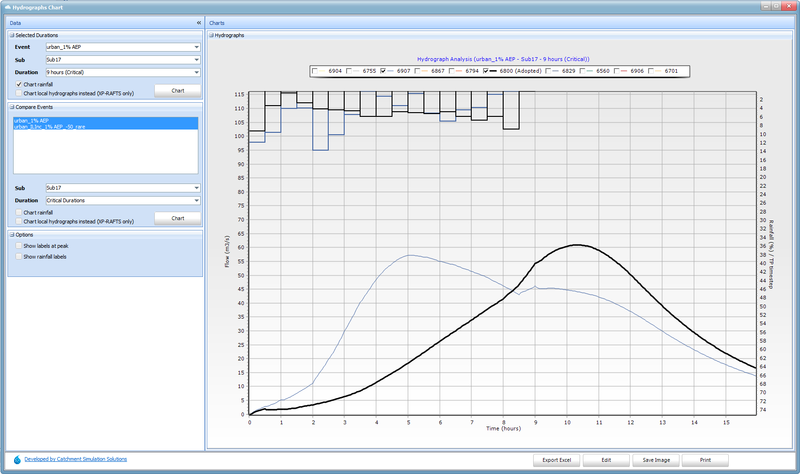 It offers charting and tools for analysing the results of the models to aid in selection of critical durations, flows and hydrographs for hydraulic modelling. Storm Injector is ideal for organisations that want to ensure a consistent approach to ARR 2016 across many hydrologic models such as Councils, developers and consultants. Easily add any number of TUFLOW models to your queue. 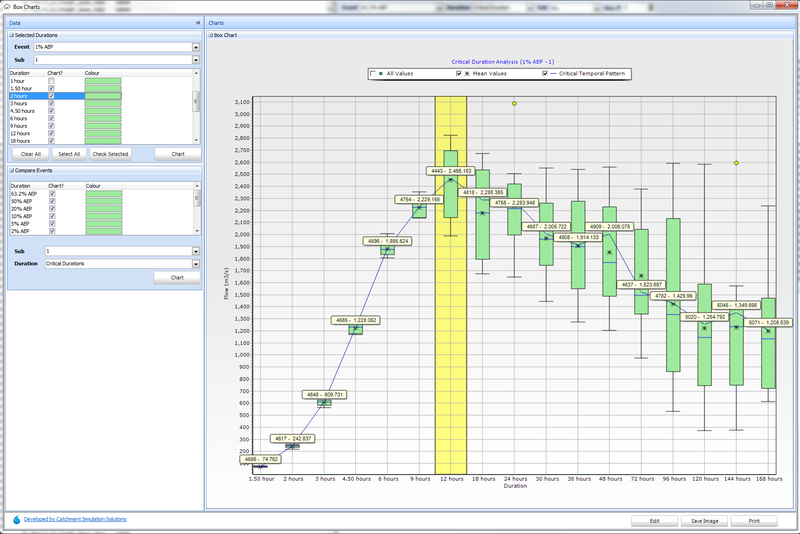 Charts inflows, outflows and errors on the fly for each simulations. We are happy to announce that Storm Injector has officially been released. Storm Injector is available on an annual subscription. Prices can be viewed here. We are pleased to announce a new release of CatchmentSIM that brings Kriging and Natural Neighbour Interpolation to the Rainfall Analyser module and the Interpolate Grid from Points tool. These methods offer improved interpolation for rainfall observations and most types of point data. Click the Read More link to see some examples of how significantly rainfall isohyets can vary based on the interpolation method. We are also happy to release our paper and presentation from this year's Floodplain Management Authorities conference in Brisbane. The paper discusses how we tackled the problem of applying freeboards in areas of overland flooding. This is an important area of research considering the increasing focus on flood risk in urban catchments. Some further information is included in the Read More link. We are pleased to announce the launch of CatchmentSIM's Rainfall Analyser module. 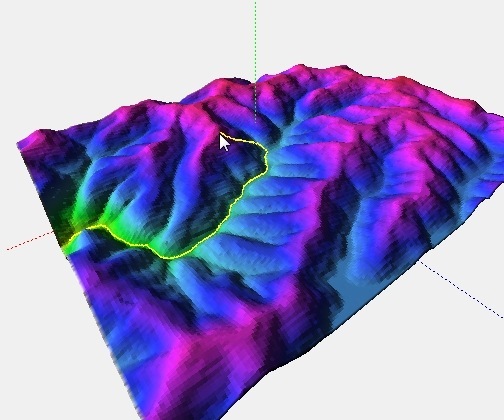 This tool is the perfect accompaniment to CatchmentSIM to aid in the preparation of hydrologic models with full spatial interpolation of historical rainfall. We're pleased to announce the latest version of TIRM (2.6.0) now allows a simulation queue to be distributed over a cluster of modelling computers and managed from a single location. This ensures optimum TUFLOW license utilisation and modelling speed. TRIM will prioritise simulations to the fastest and most appropriate computers and notify if they go offline for any reason. We have prepared a quick 5 minute video that outlines the new feature and important considerations when using it. You can also download a free 45 day trial of an 8 simultaneous simulation version of TIRM from our website. Be sure to also check out our poster, Assigning Confidence Limits to Hydraulic Computer Model Results. Recently, we've been undertaking some interesting research on applying Emergency Response Planning (ERP) classifications at much finer scales than previously possible. 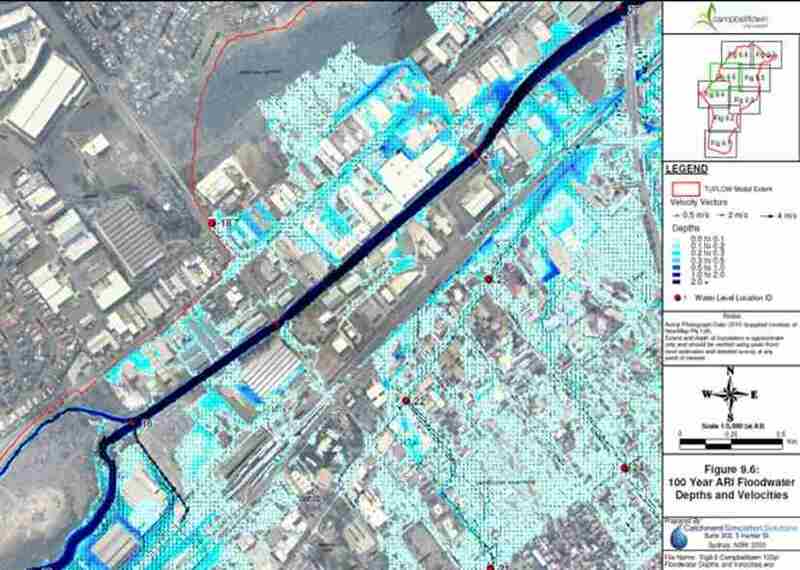 This has been achieved by the use of automated analysis using an adaptive road network algorithm that senses when a road becomes impassible in a flood and searches for an alternative route. CSS Principal, David Tetley presented this work at the 2014 Floodplain Management Authorities conference in Deniliquin and received a Highly Commended Paper award. Click here to read the paper and/or view the presentation. If you're too busy, click Read More below for a brief summary.